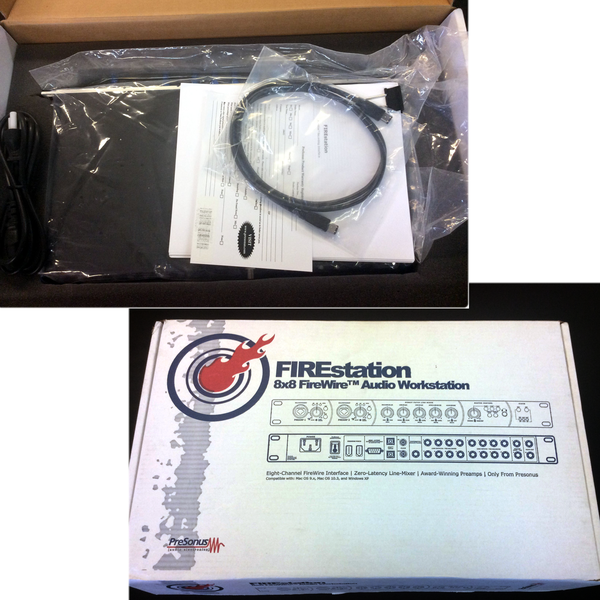 The FIREstation is a computer recording interface that provides connection to Mac & PC-based recording software via high-speed FireWire™ connection. 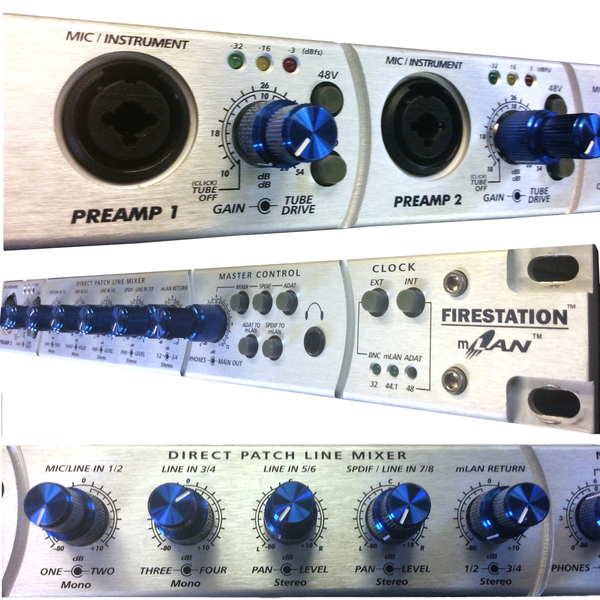 The FIREstation is designed to be the heart of your digital recording studio. You can plug in microphones, instruments and external preamps into the analog inputs while monitoring them in real time without latency. The FIREstation can also be used without a computer in 'Stand Alone Mode' where all eight channels of analog inputs are directly routed to the ADAT Lightpipe outputs and vice versa. In this mode, you can use the FIREstation simply as an eight channel A/D and D/A converter, a great way to add I/O. 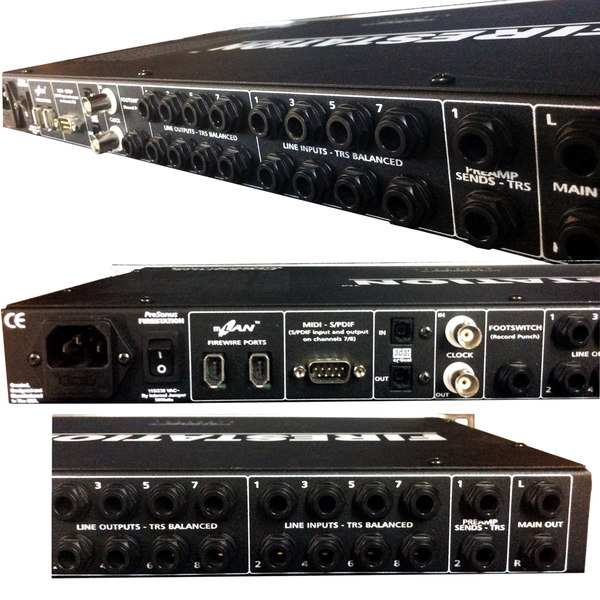 In addition, all eight channels of analog inputs are simultaneously routed to the FIREstation's line mixer. The mixed signal is sent out of the MAIN Outputs as well as the Headphone Outputs. This allows the FIREstation to be used as a stand alone 8x2 analog line mixer. 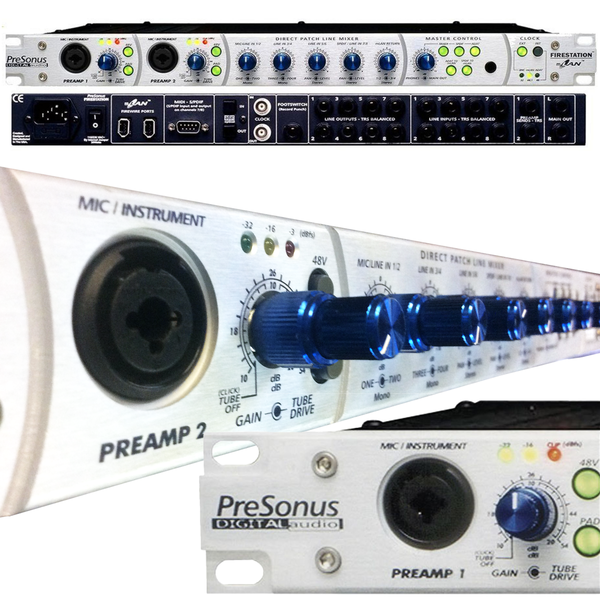 Since the Dual-Path preamps have balanced direct outputs in addition to the mixed Main Outputs, the FIREstation offers even more flexibility by allowing you to use it as an independent stereo mic preamp.